Earlier this month, I was honored to make an appearance at Windermere Stellar’s 2017 Kickoff event. Each year we gather hundreds of Windermere real estate brokers and staff from around Oregon and southwest Washington for education, motivational stories, Windermere Foundation activities, and my economic forecast, which presented a 10,000-foot-view for real estate enthusiasts. In short, I touched on my belief that U.S. economic growth will continue at a fairly moderate pace, but that home prices will continue to rise, ensuring that Portland remains a seller’s market through 2017. Although economic growth will be tepid, I do not believe 2017 will bring a recession — we have a few years before that hits. Additionally, the pessimistic may be heartened to know that we are not in a housing bubble, and are unlikely to see one, at least in the foreseeable future. Now let’s turn our focus specifically to Oregon and southwest Washington. It is my contention that the big story for 2017 will be that first-time home buyers will finally enter the market. However, given substantial inventory constraints, what will they buy? Below is a snapshot of how many new homeowner households I believe will be created over the next five-year period. This number indicates how many households would like to purchase a home. But what they will be able to buy remains a question as the Portland market continues to battle historically low inventory. Housing supply continues to decline, but sales are increasing. How can this be? The answer to this question is first-time home buyers. Because first-time buyers do not have a home to sell, they allow sales to rise even as inventory levels fall. I believe that 52 percent of all U.S. home sales this year will go to this group. For those wondering when their millennial-aged children might buy, home ownership is still a major desire for many of them. Over time, they are going to get married, have children and move out of apartments, but all of this will occur — on average — about three years later than it did for previous generations. With all of this demand, is it reasonable to expect that we will see a large number of new homes built? Unfortunately no. New construction will occur, but it won’t represent a huge boost to the supply of inventory. Land and labor costs, paired with challenges associated with Portland’s Urban Growth Boundary, will continue to increase new construction costs, making many perspective projects unviable. Housing affordability is remarkably important to a region’s success. We need Portland’s above-average price growth to slow down, but it’s simply not going to happen in the foreseeable future due to a lack of inventory. 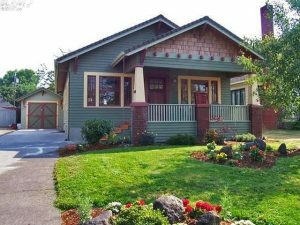 We can expect home prices to rise by approximately 4.5 percent in the greater Portland area in 2017, which is still above the long-term average. To close, housing will continue to be at the forefront of the Portland economy in 2017. New policies by the Trump administration could go in any direction, either helping or hurting the economy, but at this juncture, it is impossible to forecast the effects of the new administration. Accordingly, any kind of political change brings a heightened level of uncertainty with it, inherently causing economic and housing market instability. That said, I still expect the Portland region to outperform national figures, both economically, as well as in the local housing market.